Yesterday, once again, I didn't do too much, because I had to have a plumber come over to fix some pipes that were clanging and clattering every time my automatic lawn sprinker system shut off. 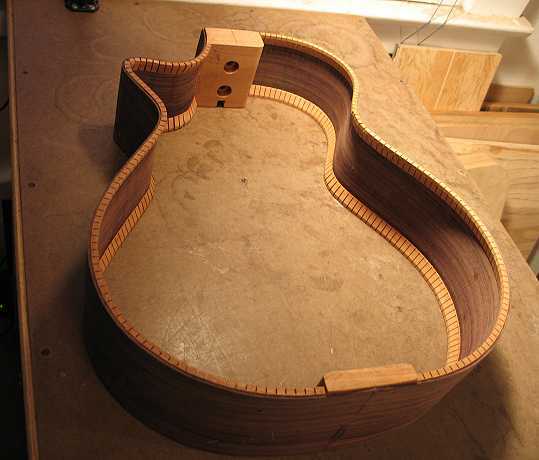 But that's all fixed now, and I can get back to the guitar. As you can see below, I have joined, thinned, and cut out the top and back plates. 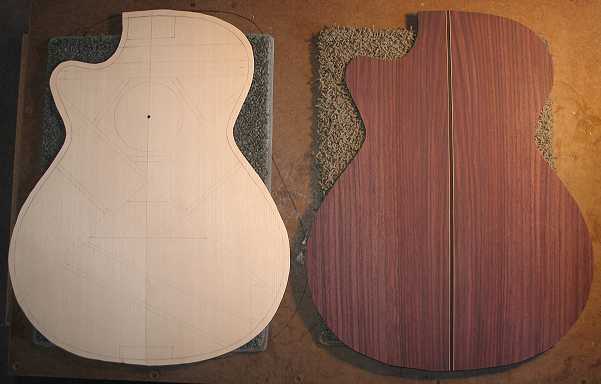 After much consideration, I decided to go with the East Indian rosewood for the back, instead of the Malaysian blackwood (I'll save that for another instrument). I think it will just make a better match this way. The top is Carpathian spruce, which I've never used before. 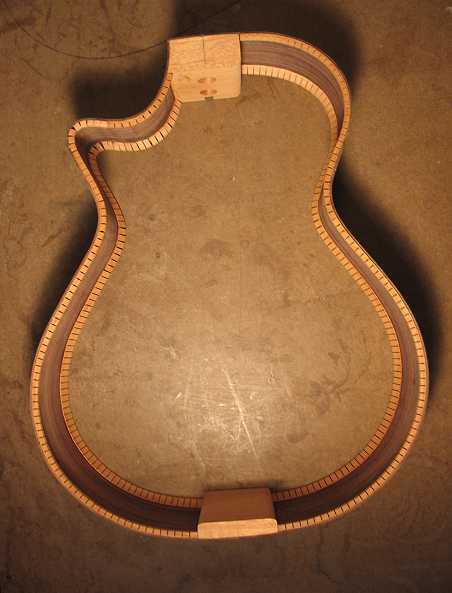 I think it should make a beautiful guitar!